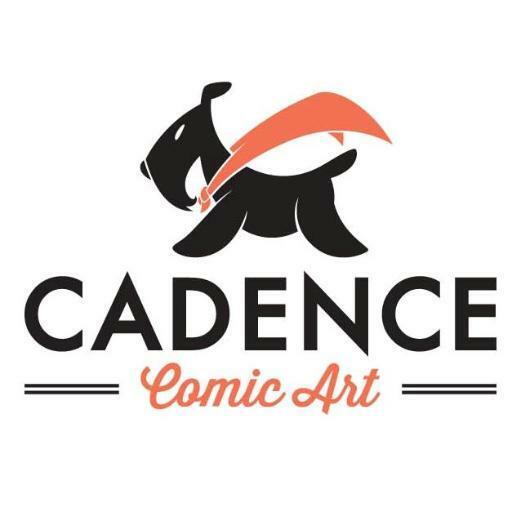 Earlier today we ran a piece examining the world of the folks who sell art for artists like Declan Shalvey, Nick Pitarra and Sean Murphy – the original art reps like Felix Lu of Felix Comic Art, Jason Schachter of Essential Sequential and Paolo Belfiore of Cadence Comic Art. That piece provided a cross-section of quotes from each of those reps, but you may be interested in hearing their insight in full. If you are, you can get that in this piece, as the interviews I put together with each rep is shared in full below. Take a look, and thanks a lot to all three reps for taking the time to share their world with me and the SKTCHD readership. How did you first get into the business? What was the inspiration for you to start up your company and start selling art? Lu: I’m a lifelong comics fan/reader. As an extension of that, I became a comic art collector. As a further extension of that, I became an art rep.
I’m nuts about original comic art. I collect both old (vintage) and new (modern) art. If I read a comic and like it, I’ll want some art from it. I rarely buy art just for the sake of the art; I have to like the overall work. One day in late 2012, when I was checking out eBay, I saw a splash page from THE MANHATTAN PROJECTS. The artist, Nick Pitarra, was selling it himself. I hadn’t read the book yet, but I dug the art…enough so that I decided to bid (and remember, I rarely buy art without having read the comic first). My bid won (just barely!). When I received the art, it really spurred me to read the book. Which I loved! At that point, I wanted to get more art, so I started talking to Nick. I got to know him and liked him. I had a rooting interest in his success. I told him he was selling his art too cheaply. He told me he thought he was doing OK. So I said, “Nick, I will build your market for you”. He thought I was joking and laughed. The truth was, I DID believe I could build his market…but only in theory. My ideas had never been put into practice. Well, he decided to give me a shot…and we both found out that the theory works. Since I’ve been repping Nick, the market value for his art has soared and he is constantly in demand for commissions. Since I was already repping Nick, I decided to bring on a few more guys and make a real go of it. I reached out to other artists whose work I could get behind and here we are today. I don’t believe in the arms race of amassing the biggest roster. It’s impossible to serve that many artists well. I’d rather keep it small and manageable. I’m extremely picky. But if an artist comes along who I think will be a good fit, I wouldn’t hesitate to add him/her. For example, Nick introduced me to James Harren’s work. As soon as I saw it, I knew he was a guy I had to talk to. And now he’s with us. As a big art fan, I feel like this is a job that could be pretty damn cool. Would you say this is a job that you have a passion for, and that the passion you have has led you down this path? Lu: Oh yeah, you have to have a passion for original art to become a rep! That and I do find it gratifying to help artists promote their work and build their markets. When it comes to the clients you work with, how do you decide who you want to work with? Do your personal aesthetic feelings factor into who you approach, or are you mostly thinking about the commercial side of things? Lu: Absolutely, I have to like the artist’s work, first and foremost. I have to want it for my own collection. The commercial side of things is secondary. I can build an artist’s market, that’s not the issue. But I have to believe in the work to make that happen. On a separate level, I want guys who have a blue-collar work ethic. As I said, this is an extension of my hobby for me. This has to be fun. So I have no interest in dealing with divas, prima donnas, or flakes. Luckily, all the guys in the crew are cool and everyone gets along well. What do you think the value of an original art seller like yourself is, both for a creator and for fans interested in collecting original art? Lu: IMO, reps can be a critical link between creators and collectors. Speaking for myself, I bring a lot of value to the table for fans. I’m a longtime collector myself, so can share my perspective with anyone who’s interested. On a more basic level, if you order anything from my site, you’ll get it. Fast. If you send me an e-mail, I will answer it. Fast. Again, I’m a collector first, so I know how I like to be treated. Fellow collectors will get that same treatment. With commissions, I hold onto all payments until the art is completed and ready to ship. In essence, I act as an escrow service. So collectors don’t have to be worried about their money. Unfortunately, horror stories abound in the hobby regarding non-delivery from artists. Not all artists, of course, but it happens frequently enough that I believe having a rep as go-between greatly increases the odds that the buyer will have a good experience (or at the very least, not a bad one). For artists, the value I bring to the table is even greater. There’s a lot of hidden value. The most obvious value your average rep provides is that he’ll do all the grunt work– scanning art, taking orders, processing payments, packing art, shipping art, etc. And most reps are fine in that regard. But most reps are also limited to that function. The marketing is minimal and passive; art is listed on a site and the rep sits and waits for the orders to come in. I’m definitely more proactive about finding buyers for the guys I rep and ideally, the right buyers with the right collections to place the art. The typical rep became a rep because he was a fan; he hung out in Artists Alley to spend time with his favorite creators and to collect sketches. I became a rep from having been a serious comic art collector with a relatively high profile (i.e. have been an active, vocal participant in the collector community via various online forums as well as in person at shows). It may sound ridiculous, but the reality is that this experience separates me from other reps. I know the major collectors and I know the market (most crucially, the high-end market). And really, I’ve collected sketches, too, so actually, I’ve engaged in the hobby at all levels. It seems to me that there are more original art sellers than ever, and that there is more brisk business than in the past. Do you agree? How do you feel the original art sales segment is trending? Have you seen growth recently, is it flat, is it declining, or what have you been seeing? Lu: There are two distinct markets for original art: Vintage and modern. I’ve seen major growth in both. Thanks to the Internet, more comics fans have become exposed to the original art side of the hobby. Still, I believe that most casual comics fans aren’t yet aware that original art even exists. Just from the comics side, I see a lot of potential for new fans/collectors. We have a print ad campaign that will launch soon which I believe will bring more awareness to this segment of the hobby. Is this line of work enough to be your only job? Can you support yourself as original art vendor? Lu: First off, “original art vendor” is a blanket term. There are two types of vendors: Dealers and reps. Dealers buy their own inventory (typically vintage art) for resale. They keep all the profits. That is a far more lucrative business than being a rep. A rep sells art (modern, of course) on an artist’s behalf for a percentage. I know dealers who have done very, very well; I’ve never met anyone who got rich from being a rep.
For the most part, dealers aren’t reps because there isn’t enough money in it. At the same time, most reps aren’t dealers because a. they don’t have the knowledge b. they don’t have the contacts and c. they don’t have the financial wherewithal to carry the inventory. For me, none of those are an issue. I simply find new art more interesting, as far as selling goes, despite the fact that vintage art is easier money. I enjoy working directly with each artist and watching art get created. I enjoy promoting their work, expanding their collector base, and growing their market value. I derive much more satisfaction from that than buying a piece of vintage art for X and re-selling it for 2X. To answer your question, one can support oneself as a dealer much more easily than as a rep. Many reps work a regular job and do this on the side. This is my only job, but only because I’m at a point in my life where I’m able to have this as my only job. Perhaps someday I’ll have to find real work again, but for now, I’m having a blast! Do you find that your customer base fits into any specific mold, or is it pretty diverse? Has that changed in the past few years? Lu: The profile of your average comic art collector mirrors your average comic book reader…which these days, is more diverse than I’ve ever seen in all the years I’ve been in the hobby. This is especially true for Bryan Lee O’Malley’s original art market. Almost half of his orders come from international buyers and a good percentage are from women. It’s fantastic. Naturally, the internet is a huge part of comic art sales. How important of a sales channel is your site? Lu: Absolutely essential. The Internet is the main reason original art has exploded over the last several years. Cons are another sales channel, but one I am sure is a lot more unpredictable. What’s your approach to cons, and how important to your business is it for yourself and for your clients? Lu: We’re all fans of comics and pop culture, so on that basis alone, we all enjoy going to cons. We don’t necessarily do shows with sales as the primary objective. I know for a lot of the guys, meeting fans can be energizing, especially since the work can be so solitary otherwise. We’ve done some YouTube videos to help promote our show appearances. I hope it comes through, that we do all have a lot of fun. What’s your relationship like with the artists you represent? Would you say you work with them pretty closely, or is it more of a business like relationship? Lu: It varies. Some guys like me to be more hands-on than others, as far as the business stuff goes. I’m very simple: I do all the work I’m supposed to do, and so long as everyone else holds up their end of the bargain, then we’re all good. Beyond that, I enjoy knocking back a beer or two with all these guys whenever we have the chance. A bunch of us are going to Tokyo in a few months, just to hang out, so it’s not all business. Every artist is different, I’m sure, but I’m curious, how do you define price points? Do you work that out with your artists, or is that something you take the lead on? Lu: It’s a collaborative process, but I take the lead, mostly. I think we all understand that this is my area…it’s a key reason why they’re using me in the first place. A lot of artists have went digital in creating their art in recent years, which I have to imagine has impacted your business to a certain degree. Would you say that’s the case, or has the impact been minimal? Lu: Digital greatly impacts original art collecting, obviously. But it doesn’t have to mean the death of original art collecting. One of my guys, Nick Dragotta, draws a very popular book (EAST OF WEST), digitally. Yet, I’ve managed to create a market for him with original art. It can be done. What have you found to be the most important sales factors for you? Are people looking more for certain artists, certain books, or what? Lu: Obviously, anything Big Two has a huge advantage in the marketplace. There’s no challenge in selling Batman art. Batman, Spider-Man, X-Men, et al. art sells itself. For the guys I rep, who primarily do creator-owned work, it’s a trickier proposition. The art can be great, but it has to get in front of the right eyeballs. That’s where my experience (and as goofy as this may sound, credibility) as a comic art collector comes in. So, as it turns out, a fairly important sales factor is me. Schachter: When I was in college I couldn’t afford much so I had to buy and sell to be able to get some pieces that I wanted. It wasn’t until way later when a friend who I happened to help out at a convention wanted me to help him out. Schachter: 100% I’ve always loved comics and when I first saw the original art and bought my first headsketch I was hooked. Not only do we get to travel around the world, but we do it with amazingly talented creators! Schachter: There’s a few factors that are involved. I generally like to work with artists that I would buy from myself. However this is also a business and this is how I put food on the table so looking for saleable work is on my mind. Lastly we travel a lot as a group. So there def has to be that mutual respect and compatible personality that we’ll take into account. Schachter: I’ve heard both sides to why art dealers are useful. Some collectors don’t like us. Others do. The plus side for collectors, commissioned art. When a collector commissions a piece from us they know that they’ll either get their art, or they can always get a refund. We all have had a story when a commission takes too long, or have heard horror stories with artists not doing them and not giving refunds. ES holds onto funds until the work is complete. The patron always has the option of a refund if its delivery is past the promised date. This is my full time job. So I try to respond to emails ASAP and send out orders within 24hrs or the order coming in. For a creator; having a dealer helps tremendously. We ship out art, communicate with patron’s, handle everything so they can focus on whats imports to them, creating! At ES we also publish sketchbooks, prints and handle convention appearances. I think some collectors feel that dealers will overprice art and if they can go direct to the artist then they’d get a better deal. Schachter: I see if growing. The fact is there’s plenty of amazing artists out there. The popularity of the superhero films and conventions are pushing more people into purchasing original art. Not to mention we’re seeing original art fetching astounding prices at auction. Schachter: The first 2 years I started Essential Sequential was the hardest. However I’ve been lucky enough to be able to assemble an amazing group of artists that have helped me be able to do this full time. Schachter: It’s an amazingly diverse group. The only common denominator is that they are passionate about comics. We have patrons that run the gamut from taxi drivers to world famous actors. It really is an amazing community that I’m very proud to be apart of. Schachter: It’s huge! We have customers all around the globe. China, Saudi Arabia, Turkey, and just about anywhere else you can imagine. I find myself stunned sometimes at where we ship to. Schachter: Conventions are also a big part of our business. Its important for artists to meet fans and to be able to interact with them. Its one of the best and unique things about our business is being able to actually go and meet your favorite artist? Not only meet them but say hi and get an autograph, shake their hand. Its not usually the case in other industries like film, sports or any other entertainment industry. Schachter: It’s extremely important to me. It varies during the time of year. During convention season we’re traveling together so I think we’re pretty close. We tend to be a good support system for each other. However this is a business so I make sure everything is taken care of. Schachter: Some artists like me to go over pricing with them, others don’t. I look at the art and If it’s a splash, cover or interior page. Does it have the main characters on it? Is there something special happening on it? Sometimes theres just a piece of art that the artist has an attachment to and doesn’t want to sell, so they’ll put a higher price on it so he can keep it. We also try and keep an eye on auction houses to see what pieces are going for. Schachter: Yes, digital art…or the bane of my professional existence. Most of the artists I work with still create everything by hand in some fashion. A few now are printing blueline and inking by hand. Fiona Staples does everything digitally, which of course leaves no physical art to be sold. We’ve instead created high quality giclee’s and prints to try and quench collector’s thirst for her art. Schachter: It really depends. I think it goes in cycles. Collectors look for art from their favorite books. Others have their favorite artists and some just look for covers and splashes. We also have collectors that look for certain scenes like a doctors office or certain vehicles, it’s really a mixed bag. Belfiore: I was a casual collector. I was working in the corporate world at the time. As I became more friendly with artists I started helping them out. It grew from there. Belfiore: Absolutely! I love what I do. I have been doing this for nearly 10 years and I am just as excited now as when I started. I am still in awe when I receive new shipments of art. I am very lucky to be working with some of my favorite contemporary comic artists. Belfiore: If there is an artist that I really enjoy and I believe I could help sell their work, I will approach them. I also get a lot of clients from recommendations from artists that I already work with. Being a fan is very important to what I do. However, I need to keep in mind that I need to be able to sell art. Otherwise, I am wasting my time and more importantly the artist’s time. Belfiore: We are a resource. Many artists are too busy with deadlines to worry about selling their original art. Dealers are able to alleviate the burden for them. It also expedites the process for the buyer. The turnaround time for a sale tends to be much quicker when an art dealer is involved. Belfiore: Like any collectible market, it has its ups and down. However, the past few years has brought steady growth. Steady is good. There seems to be growth within independent comic original art. As much as I love the “Big 2” it is nice to see collectors expand their interests. Belfiore: I am lucky enough to have this job solely support my family. Belfiore: There is such variety in comic art styles and genres that it has been pretty diverse. It has been that way for the past few years. Belfiore: Internet sales are the cornerstone for me. As long as you can get the word out there, there is no limit to the reach online promotion can have for a business such as this. Belfiore: Cons can be tricky. You really never know. Although I tend to do well at most conventions, I view most shows as promotion. If I sell, great!! However, as much promotion as an art dealer can do, there are still people who are unaware of your services. Being visible at conventions helps. Belfiore: It varies by person. With some of the artists, there is a close friendship. With others, it can be more of a business relationship. The important thing is being comfortable on both sides. Belfiore: It is almost always a collaborative effort with the artist. Belfiore: It is happening more and more. Digital art can be just as beautiful as original art. The only set back is the lack of an original piece of art. However, if an artist is more comfortable working in that manner I have no business telling them to do otherwise. Belfiore: Style and subject matter. Those two are always tops. Some people collect artists. Others collect characters. It is a mixed lot. Variety is good. Art in the header by Declan Shalvey from Injection #3.